Buttercream Cookies | What Smells So Good? It's always great to find new uses for things, especially in the kitchen. Thanks to all the Thanksgiving leftovers (the consequence of making both turkey and ham, plus sides, this year), I was asked (*hint hint* style) if I really needed all the things I had stashed in the freezer. After taking inventory, I realized that I had a rather gratuitous amount of homemade buttercream in various containers and flavours, and no plans for cake in the near future. 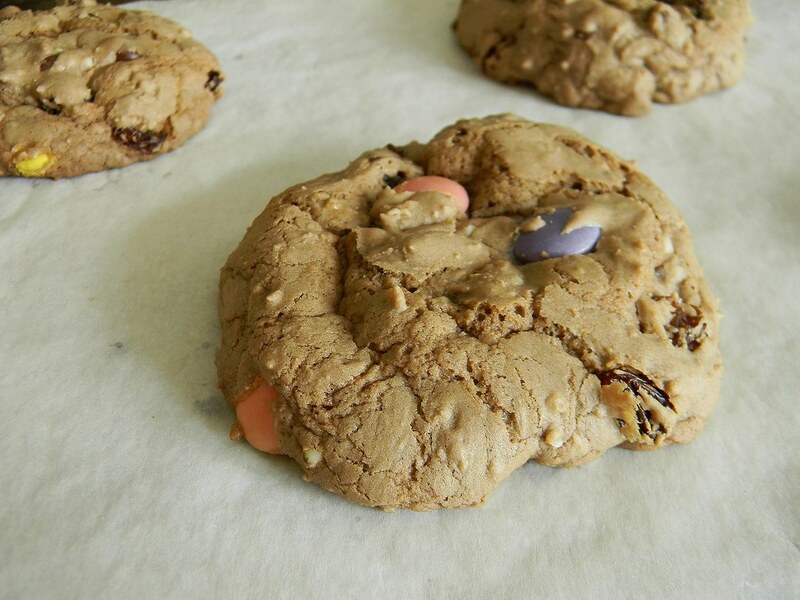 A quick Google brought me to The Angry Baker and a recipe for cookies made with the stuff! The reasoning makes sense: "buttercream frosting is butter, sugar and flavoring (like chocolate)…. and since the basic cookie recipe generally starts with … “cream butter and sugar”… I figure, add some other stuff, and you have cookies". With the basics in mind, pails of buttercream at the ready and a pantry full of "oh yeah, I should use this up" items, I set to work making two batches of tender, chewy treats perfect for gifting, bake sale and (of course) noshing on! 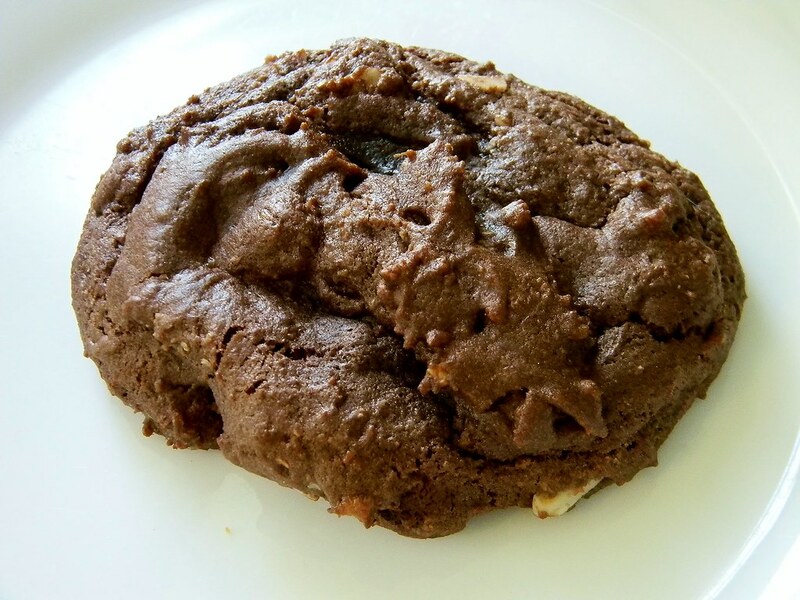 For simplicity's sake, the recipe I'm giving you today is the "bare bones" style - the nutrition info doesn't include any additions and use vanilla frosting, so it's a good "guideline". That said... it's cookies. Enjoy!! In a bowl, beat together the frosting, cocoa, salt and egg until well blended. Add the flour, oats and baking soda, mixing until combined. The dough at this point should resemble standard chocolate chip cookie dough. If it is too soft, add a touch more flour. If it’s too dry, add a splash of milk. Fold in the additions until well blended. Scoop the cookie dough by heaping tablespoons onto the sheets about 2” apart. Flatten slightly with damp fingers. Bake for 10-11 minutes. Cool on the sheets for 10 minutes, then move to a cooling rack.